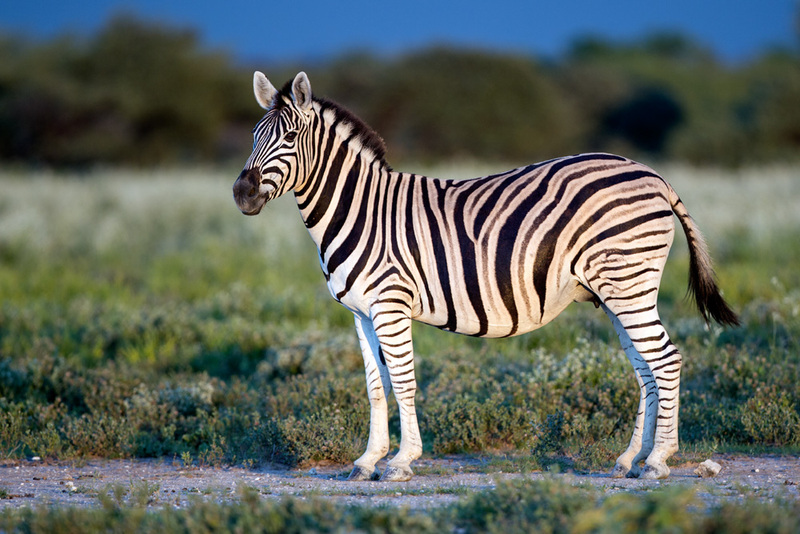 Zebras are so common that they are often ignored, whether it is to stop and look at them or photograph them. Although they are our main study animal for transmission of Bacillus anthracis, they only seem get our attention when they are already dead. After seeing an overload of lion photographs in my camera, Wendy challenged me to try to get good zebra photographs, and grazing zebras in particular. 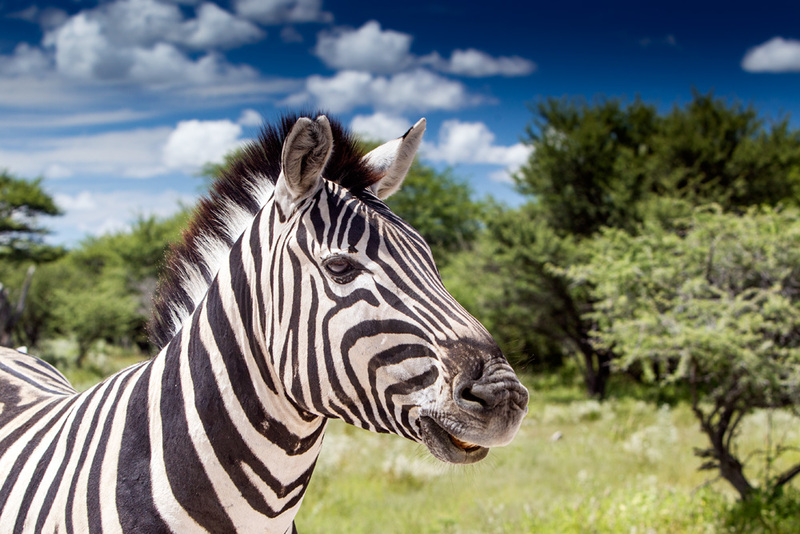 It’s not too difficult to find zebras in this park: drive in any direction and you’re bound to see them within a few kilometers. They are also very tame, so they will be right next to the road and not be easily intimidated by cars, people or anything else that’s not a lion. So, the last few trips I’ve taken, I’ve been looking for interesting zebra photographs. Unfortunately, I’m not as knowledgeable about zebras and their behavior as our expert Dr. Turner, so I cannot predict what zebras will do, or what would be interesting compositions. However, the challenge was nonetheless accepted and the struggle to photograph zebras was on. Wendy set the marker by taking a wonderful photograph of a zebra one afternoon. “It’s not the best photograph out there,” she said when it was certainly the best photograph of a zebra on this trip. It would take a particularly stunning photograph to outdo that one. That evening, with a storm building up in the east and the sun setting in a clear western sky, I was able to get a zebra profile in near-perfect light. While the photograph had nice encyclopedic value, there was still room for improvement. There is always room for improvement in the world of art and photography, I suppose! Yesterday evening, I was driving back to camp just after sunset and ran into a zebra herd close to camp. The light for the day had given way to the twilight – which in turn was rapidly giving way to the darkness of the new moon. Not interesting enough, was my first thought. I fired up the car again and instinctively looked at the rearview mirror. 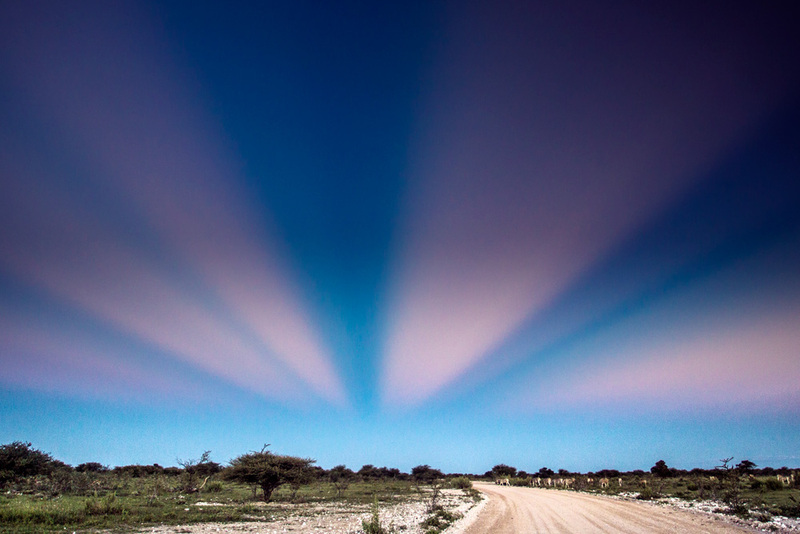 The sky was a spectacular pattern that looked like a zebra-crossing in the sky being played by the pink and blues of the late evening light in Etosha. 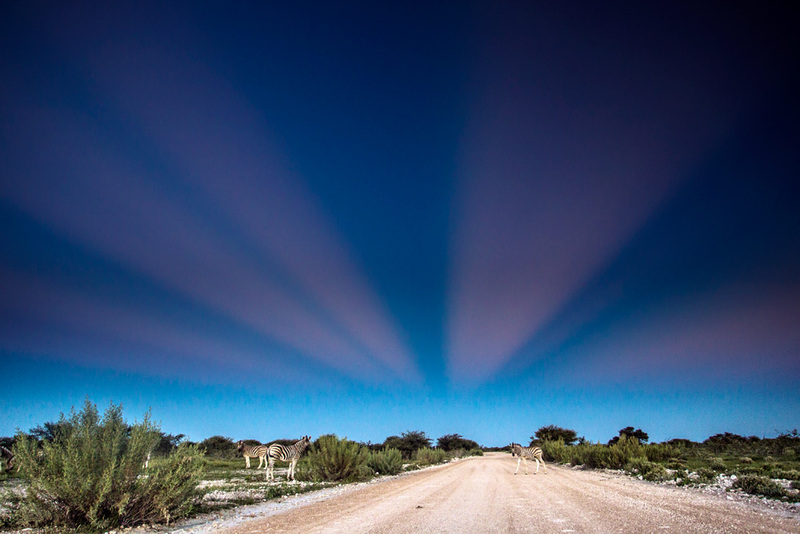 I took a quick photograph of the sky and noticed that the zebra herd had begun to cross the road. I rushed back to the spot just in time to get one of the last zebras – a foal – crossing the road. Fun. The challenge for zebra photographs is still open though, as the appetite for that is apparently insatiable!